Tom and Patty Allen were active members of our group. Thomas M. Allen, 77, of Rexford, died peacefully at home surrounded by his loving family on Sunday evening, November 25, 2018, after a 30-year battle with Parkinson’s Disease. Tom was born in Tannersville, NY to Harold Allen and Suzanne Worth Speenburg. He is survived by his loving wife of 54 years, Patricia; sister Jeanne Allen, sons Thomas Allen (Mary Doherty); David Allen, Brian Allen; and three grandchildren, Morgan, Greta and Carter. Tom was a devoted and beloved son, brother, husband, father, friend and mentor. He was an active member of the community throughout his life, and was a communicant of St. Mary’s Church in Crescent. He enjoyed coaching his sons’ baseball, football and basketball teams, gardening and dancing with his wife and he was an avid hunter and fisherman. Tom graduated from Hunter-Tannersville High Schooland obtained degrees in Civil Engineering and Environmental Engineering from the University of Vermont and Rensselaer Polytechnic Institute. Tom served as an Army Aviator in the 101st Airborne from where he served in many leadership positions before being Honorably Discharged as a 1st Lieutenant in 1966. Tom’s work as a professional engineer focused on improving water and air quality with the NYSDEC, where he served as Director for the Division of Air Resources from 1988-1995. He was instrumental in the development of the 1990 Clean Air Act Amendments. During this time Tom also served as the President of the State & Territorial Air Pollution Program Administrators (STAPPA) and led the efforts of Northeast States for Coordinated Air Use Management (NESCAUM). Tom was awarded the Air & Waste Management Association’s S. Smith Griswold award in 1996, which is a national award given to an individual who has outstanding accomplishments in the prevention and control of air pollution. In retirement, Tom co-founded an environmental consulting business, Air Resources Group and for over a decade worked throughout the country as an instructor for the California Air Resources Board training new staff in air program activities. Tom loved music and dancing with his wife Patty, which they did at home and during their travels together across the country. Calling hours will be held on Sunday, December 2nd, from 3 to 6 p.m. at the Catricala Funeral Home, 1597 Route 9 in Clifton Park, with a funeral service on Monday at 9:30 a.m. at St. Mary’s Church in Crescent. Burial will be in Saratoga National Cemetery following the funeral service at 11:30. P.O. Box 5014, Hagerstown, MD 21741-5014, or to the Community Hospice of Saratoga, 179 Lawrence St., Saratoga Springs, NY 12866. William Lee Kneissl, 82, died at home on Wednesday, August 22, 2018, after having a full and love filled life. Born to William S. and Alice T. (Coghlan) Kneissl, he grew up in northern New Jersey. His career in the banking business started while in college and lasted 42 years. 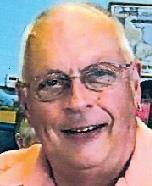 He moved to Albany in 1966, and retired in 1998 as the senior vice president and treasurer of the Troy Savings Bank. He was active in Rotary for 41 years; and a member of many professional organizations over his business career. Bill enjoyed teaching accounting for the AIB and his work with Concerns U and Catholic Charities, which was most rewarding. Overseeing the complete restoration of the Troy Savings Bank Music Hall ranked high on his list; as well as the many wonderful people he met while living in Port Charlotte, Fla. and being a member of St. Max’s Church family. Bill is survived by his wife and soulmate, Julia (Cole) Kneissl, who brought happiness into his life; as did his children, Eileen (Douglas) Elizabeth (Katerina) Kneissl and Eric (Michelle) Kneissl. He is also survived by Adrienne (Simon) Rudolph, James Hancock and Deirdre (Raymond) Rudolph; and his grandchildren, Heidi, Tristan, Julia, Brandon, Clare, Sophia and Ronan. A funeral Mass will be celebrated on Monday, August 27, at 10 a.m. in St. Vincent de Paul Church, 900 Madison Ave., Albany with burial in St. Agnes Cemetery, Menands. In lieu of flowers, the most appreciated remembrance would be a donation to St. Vincent de Paul’s Church Food Pantry, 900 Madison Ave., Albany, NY, 12208 or to your local food pantry. Daniel Keenan Funeral Home, Inc.
Robert G. Foster 73 of East Greenbush died Tuesday, July 10, 2018 at St Peter’s Hospice. Robert was born in Schaghticoke to the late Lillian (Seymour) and Durwood Foster. He was a Navy and Vietnam Veteran. He worked as a mechanical technician and later as a regional technical manager for various companies throughout his career. Bob’s hobbies were hiking, biking, and camping. He loved being with family and friends and found joy in simple moments, while enjoying their company. He loved life and did not let his Parkinson’s of 14 years determine how he lived. He saw great possibilities everywhere. Bob will be forever remembered by his beloved wife of 44 years Sandy, two children, Stephanie Foster-Breunig of Castleton and Joshua Foster of Albany, son-in-law Mike Breunig, granddaughters Isabella and Sophia Breunig. Brothers Eugene Foster of Johnsonville, and Donald Foster of Schaghticoke. Sisters Donna Brock of Babcock Lake and Linda Vogt of Schaghticoke. Our Bob will be missed tremendously. Relatives and friends may call Saturday July 21, 2018 from 9:00 am – 10:30 followed by a Memorial Service at 10:30 am from the Wm. J. Rockefeller Funeral Home, Inc., 165 Columbia Turnpike. Memorial donations in memory of Bob may be made to the Parkinson’s foundation, Hope Soars, 1410 Maple Hill Rd. Castleton, NY 12033.